After visiting Mu Cang Chai we went further north towards Sapa. Of all the areas in northern Vietnam, this one is maybe the most popular. That’s why Sapa town is very crowded and full of hotels and restaurants. We didn’t spent much time there after arriving via Heaven’s Gate. After lunch our guide took us 20 kilometers south of Sapa to the Topas Ecolodge*. Ever since I had first seen photos of that place a few years ago I had wanted to stay there. Thus I had booked our room nearly one year in advance to ensure our stay during harvest season. The hotel is located in a very unique place, far from the bustle of Sapa town. It’s another world. 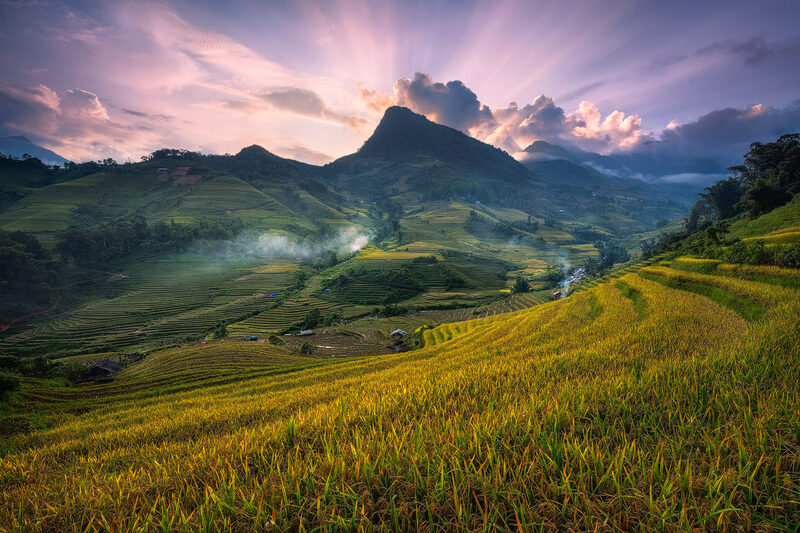 Surrounded by countless rice paddies, it’s the perfect place to stay as a landscape photographer. To give you an idea: the photo below, for example, was taken the first morning just a few meters from the entrance to the hotel compounds. The views from our hotel room were also excellent, but most of the time I took a bicycle and drove along the adjacent valley to explore the countless views. I also hiked along little trails through the rice fields and found many beautiful photo spots in the three days we had there. What I also noticed was, how fast the rice harvest proceeded. I had always read that mid September was the best time to visit Sapa. While this might be true for some areas, the fields near the hotel were already harvested when we left on September 8th. Had we visited around mid September it would have been a huge dissapointment for sure. In the video below I talk more about this and I also take you along some of the hikes I did and show you the views I photographed. Sapa was definitely the highlight of our travels through Vietnam – to a huge extent so, because of the location of our hotel. 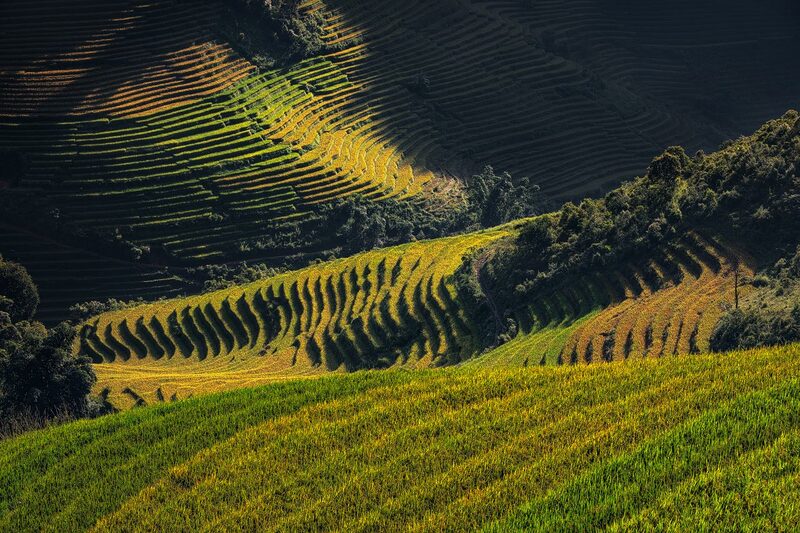 And not to forget the weather – so much sunshine during rainy season was quite unexpected and a welcome surprise after our time in Mu Cang Chai.